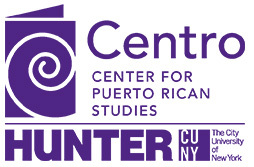 Recent Census Bureau data revealed that, in 2016, the state of New York had the largest concentration of Puerto Ricans in the United States (1,081,110). New York and Florida were the only states with more than one million Puerto Ricans during this year. Puerto Ricans accounted for 5.5 percent of the total population in New York, and 28.8 percent of the state’s Hispanic or Latino population in 2016. The state of New York has one of the most diverse Latino populations in the country. As of 2016, Puerto Ricans were largest group of Latinos in New York, followed by Dominicans (23.3%), and together they comprised more than half the state’s Latino population. The other half of the Latino population was comprised of South Americans (15.9%), Mexicans (13.6%), Central Americans (11.5%), Cubans (1.9%), and other Latinos (5%).